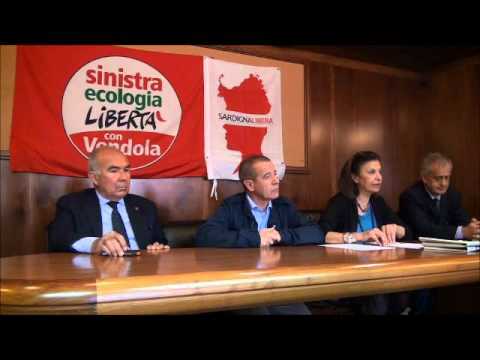 Sardigna Libera is a separatist social-democratic party in Sardinia, founded in 2012 by Claudia Zuncheddu, member of the regional parliament, originally elected on the Rosso Mori list. The party symbol is a clever combination of (in top) the map of the Northern part of Sardinia and (in bottom) a human head in profile, all in red, divided by the party name in black and red. The flag is almost square and shows the symbol on a white background [1,2,3].